The Rotary Club of Langkawi was formed after much hard work and the particular efforts of Dr Baskaran Gobala Krishnan the district extension chair (now considered by us as our founding father), our sponsoring clubs, the Rotary Club of Butterworth and the Rotary Club of Kampung Baharu together with our own charter president Dr Baskaran Kosthi who contacted people from the local business community and proposed the idea of setting up a club in Langkawi. We were chartered on 8 March 2013 and to mark this event we held a Charter Night dinner and dance to raise our first funds. Our Charter Night, on 21 June 2013 was held at Resorts World Langkawi and was well attended by members from other clubs, our family and friends. 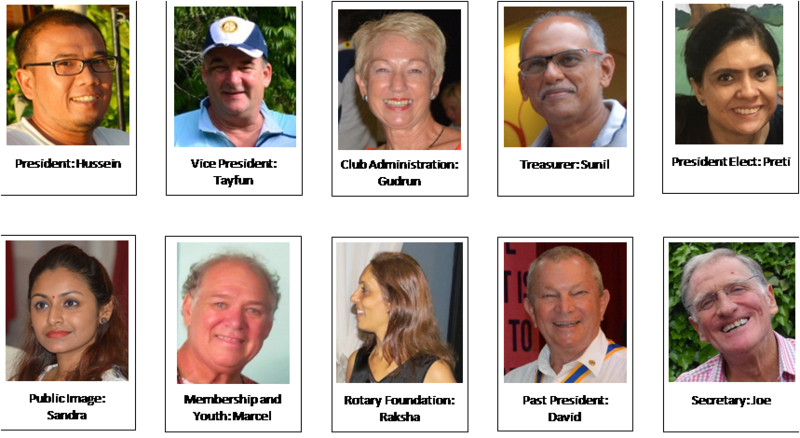 We are currently fourteen members comprising an interesting mix of local businessmen, professionals and retired expatriates. Apart from Malaysians we have among us members from Malaysia (Langkawi), Canada, Australia, Great Britain, Germany and Japan. We are proud of the fact that we are a non-sectarian and non-denominational club diverse in professions and nationalities. Collectively, we are able to bring skills and expertise based on a wealth of experience to enable our club to move forward with optimism and enthusiasm. You are most welcome to meet us. We don’t only plan and implement projects; we have interesting talks on a wide range of topics and usually monthly we will hold a family fun fellowship event. As from Tuesday 17 January 2017, we meet on alternate Tuesday nights. We now meet at the Royal Langkawi Yacht Club for dinner at 7.30pm and watch the sun set. Or just come along to our meeting which is free unless we have a guest speaker when we may make a small charge. Meetings start promptly at 8.30pm in the conference room at the Royal Langkawi Yacht Club. Please email us at: rclangkawi@gmail.com should you wish to visit. Membership is by invitation. Contact Marcel by email: menardmarcel@hotmail.com who will explain the process on how to become a part of this amazing team.